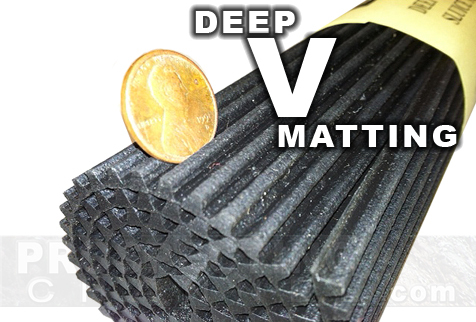 Rugged but lightweight this product is specially made for us to provide a deep vee rubberized mat tough enough to stand up to the rigors of prospecting but thin enough to not require special applications. The overall height of th mat is 150/1000th of an inch and the depth of the grove is 110/1000th of an inch. We ship same day or next business day. Payment available via Credit Card through PAYPAL. Worldwide Shipping available. Credit Card through PAYPAL, International Money Orders and International Cashiers Cheques. Contact us via e-mail for any international shipping questions. 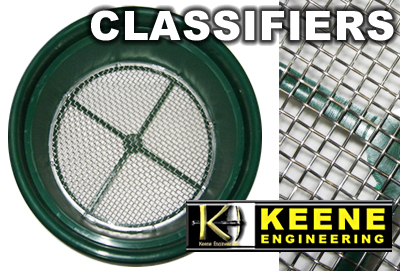 Simply the best material for trapping gold in your sluice. Woven vinyl loop material has thousands of gold traps through out the entire sheet of material. GOLD PICKERS (small nuggets that you can pick up) get stuck in the woven material! Replace your carpet with Miners Moss and get more gold! 3/8" Thick (this is the perfect thickness for mining). 36 inches in Length 12 inches in Width. This size will fit most sluices. We can cut larger size pieces upon request. The width has to be 36" because it is manufactured on a large roll that is 36" wide. You can get it at a variable length to meet your needs. ($2.00 per inch - 12 inch minimum) Contact us to place your custom order size or purchase our standard 12" x 36" inches Miner Moss with the "Add to Cart" button. 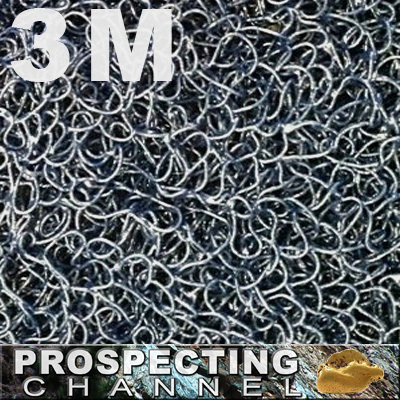 ©2019 Prospecting Channel Inc. All rights reserved.